St John Stone, martyred for defiance of Henry VIII's dissolution of the monasteries, is the patron of the Augustinian Province of England and Scotland. The Augustinians, known from medieval times in England as the Austin Friars, came to England in 1248, in answer to the invitation of Richard de Clare, Earl of Gloucester and Hertford. Richard gave the friars land on which to establish their first foundation at Clare. 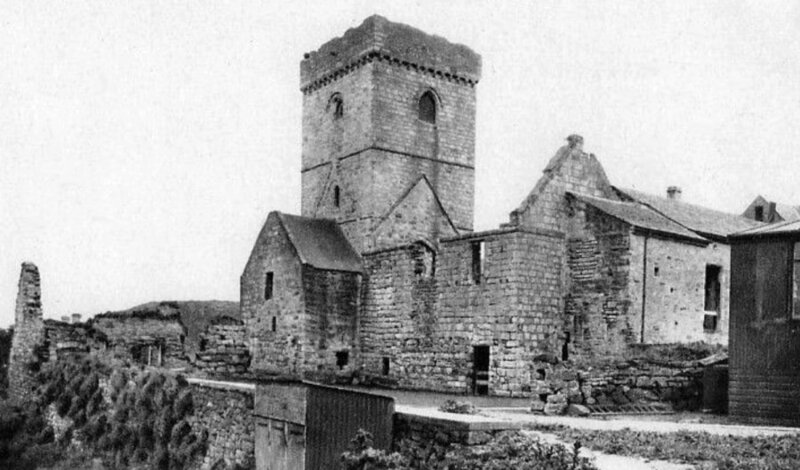 The priory at Clare thus became the first Augustinian foundation in the English-speaking world. Other houses were opened in quick succession. In 1253 they settled in London where ‘Austin Friars’ was to become the most important house of the Order in England. The priory at Clare reflected the contemplative nature of the friars. Life at Clare was not financially easy for them. They were not given their land, but had to pay rent for it. They had a small house made of timber, and a small chapel. Their diet was meagre, and in the mendicant tradition they survived by begging whenever necessary. In 1262 King Henry III ordered the arrest of some friars who had absconded from Clare Priory. The poor and humble life of the Austin Friars was noted by the early English poet, Geoffrey Chaucer, in the prologue (lines 184-188) of his famous poem, The Canterbury Tales. In 1250, the Augustinians opened a second house in Woodhouse, and in 1252 a third priory was established, this time in London. The London house became the most important house of the Order in England, and to this day the site is still known as "Austin Friars". As early as 1289 it housed sixty-three Augustinians. By 1364 they had built a magnificent church on their London site that was only two metres shorter than the famed cathedral in Canterbury. It had been out of Augustinian possession for centuries by the time it was totally destroyed in a German air raid during 1940. Before the Grand Union in 1256, there probably were further houses at Ludlow (1254), Leicester (1255) and Shrewsbury (1255). A house at Sidingborn (1255) was short-lived. In 1260 John of Gubbio O.S.A., an Italian in Italy who was called the "vicar general of [the Order in] France, England, Scotland and in the territories and dioceses of Lausanne, Verdun and Cambrai." Rapid expansion between 1256 and 1300 had been possible because vocations (i.e., persons joining the Order) were plentiful. An estimate of Augustinian numbers in England in the year 1300 suggests 60 of them in London, 40 each for the houses of theology in Cambridge, Oxford and York, 30 for Lincoln, 20 each for Clare, Gorleston, Leicester, Lynn, Newcastle, Norwich, Shrewsbury and Tickhill, 15 each for Canterbury, Grimsby, Huntingdon, Ludlow, Warrington and Winchester, 7 each for Berwick, Orford, Penrith and Woodhouse. This is a tally of 488 members. If added to this is the membership of the five Augustinian priories in Ireland, which were then occupied principally by Englishmen, the total in the English Province easily exceeded 500 friars. At its peak around 1347 the Province in England numbered over 600 friars. After the Black Death, there were probably only about 300 remaining. The tally then slowly rose to about 400, and then had sunk to less than 200 by the time of the dissolution of the monasteries by King Henry VIII in 1538-39. The earliest extant statistical information on the number of friars comes from royal pittances (a daily donation for each friar) for which there are extant records from 1277 to 1345. By 1290 these pittances had been stabilized. From then on each friar received the pittance of one groat or of four pence per day when he participated in the royal benevolence, therefore, the number of friars can be concluded from the total contribution for each house. Officially in the Register of the Prior General dated 1539, the English Province became extinct seven years earlier, in 1532. This entry is an incorrect conclusion for a number of reasons. The rationale for assigning the demise of the Province to 1532 was that the last recorded Chapter of the Province was held in that year, and its Acts (official decisions) were sent to Rome for confirmation by the then Prior General, Gabriele della Volta. He duly confirmed the Acts, as well as the prorogation of the next Provincial Chapter for seven years, that is, until 1539. But even then, although all the houses in England had been dissolved, some friars still remained at least nominally Augustinian, and in fact John Stone O.S.A. was not executed until the last days of that same year. Except for John Stone (killed at Canterbury in 1539) and a very few others, the Augustinians capitulated to the will of King Henry VIII, and their houses were closed and confiscated. This was the end of the English Province of the Order, and for more than 300 years the Order ceased to exist in England. Various Augustinian Priors General in Rome devised plans in an effort to recommence Augustinian communities in England, but without success. Likewise, other mendicant orders - the Dominicans, Franciscans and Carmelites – made efforts of their own, usually with not much more success than the Augustinians had. The Prior General, Cristofero da Padua O.S.A., in 1556 contacted Maurice O'Flynn, an Augustinian in Ireland, and asked him if, with the help of any influential friends he might have in England, he might be able to send Augustinians from Ireland to establish communities in England once again. This idea was wishful thinking and sadly never came to fruition. The history of the Augustinian presence in Scotland suffers from the survival of very scant evidence. However, the inclusion of Scotland in the above annals- but not Ireland - is interesting. There were no houses of the Order of Saint Augustine in Ireland in 1260, but the above description implies that there was at least one Augustinian house in Scotland in 1260. The mention of a house at "Berwae" (in Latin) in the Registers of the Prior General in 1299 possibly means that a convento existed at Berwick-upon-Tweed at least between 1260 and 1299. In the thirteenth century, Berwick had been an important religious centre with establishments of the Augustinians, the Carmelites, Dominicans, Franciscans and the Sack Friars. There was also a Cistercian nunnery and a Trinitarian hospital in Berwick. Berwick, or Berwick-upon-Tweed, lies on a bluff of high ground on the north side of the estuary of the River Tweed, where it enters the North Sea. It has officially been part of England since the fourteenth century, but before that it had been Scottish and a major trading centre of early medieval Scotland. It should be noted that historical records from the Royal High School (the oldest school in Edinburgh, and the 18th oldest in the world), attribute the founding of the school to the Augustinian Canons in Edinburgh. 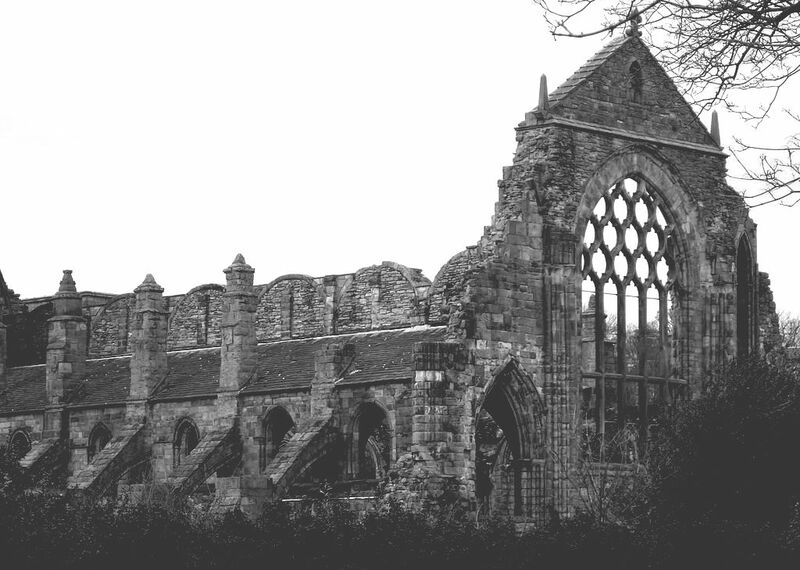 The school was associated with Holyrood Abbey, where the Augustinians were based, in 1128. The school was initially used as a seminary. and the Augustinians who served the Priory were from Merton priory in London. After only seventeen years of Augustinian presence, England had became a separate Province of the Order. Previously the houses in England were part of the French Augustinian Province that had originally sent the first Augustinians to Clare. 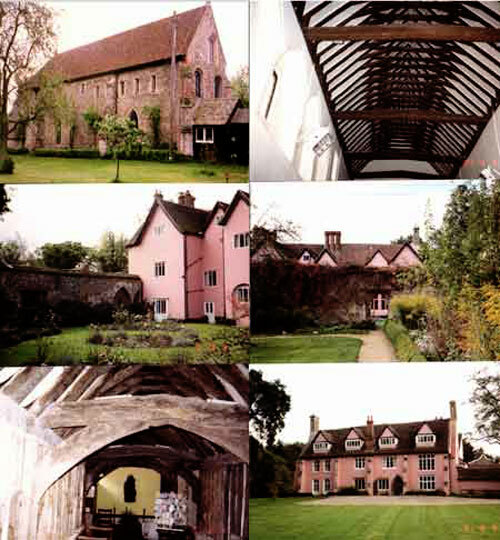 The first Provincial Chapter meeting in England was held at Clare Priory, Suffolk in 1265. All that is known of the first Provincial (regional superior) is that his first name was John. It is likely that he was the same John who was Prior (local superior) at Clare, and who was later described as Friar John of England in a fifteenth-century catalogue of holy Augustinians. In that in 1265 England contained as few as eight Augustinian houses, a lot of promise must have been entertained for growth of the Order in England. The confidence, however, was certainly not misplaced. By the year 1300, i.e., after only fifty-one years in England, the Order had twenty-two houses in England (mainly in the north and east) and Scotland, and five in Ireland (all staffed with English-born Augustinians at that time). By June 1315 the number of Austin Friars at Berwick had increased to twelve. In 1329, when the town had been taken by the Scots, its king contributed £20 towards the erection of the new Augustinian church in Berwick. This monarch was King Robert I Bruce (“Robert the Bruce”) of Scotland. 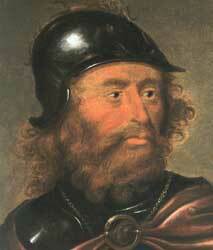 He was the King of Scots from 1306 to 1329, and led Scotland in the Wars of Independence against England. The fact that the Austin Friars still had only one house in Scotland a century later is evident from the papal bull, In hiis que animarum of 21st September 1360, by which Pope Innocent V1 granted to the Augustinians permission to establish of two new houses each in the kingdoms of Scotland, Denmark, Sweden and Norway, “where the Order has but one house.” In this bull, the name of the single house already in Scotland was not given. It is, however, mentioned as ‘Berwae' in the Registers of the Prior General, Bartholomew Venetus O.S.A., in 1387. The material recovery of the Priory of the Austin Friars at Berwick must have been sound, because in 1406 it loaned the Abbot of Lindisfarne (the Holy Island), Northumberland, 26 shillings and 8 pence. This is the last reference to this Austin Friars house in historical records. In 1503, James IV, the King of Scotland twice granted the amount of seven pounds for the building of an Augustinian house at Linlithgow, in County West Lothian, Scotland, thirty-two kilometres west of Edinburgh, but it is uncertain whether or not an Augustinian house was established there. Indication of a second “uncertain foundation” followed three years later, when King James IV (King of Scotland, 1473 – 1513) successfully petitioned Pope Julius II in 1506 to suppress a Cistercian nunnery at Manuel, West Lothian, Scotland, so that Augustinian Observantine Friars could settle there. It is uncertain whether an Augustinian house was or was not established there, for records indicate that there were still four nuns resident there as late as 1552. Two further attempts at Augustinian foundations were promoted, and again without the historical outcome being known. In 1511 James IV, King of Scotland, requested Pope Julius II to convert the hospital of St Lawrence in Haddington, in the Diocese of St. Andrew's, into a convent of Observantine Friars Hermits of the Order of St. Augustine, with the assent already having been given by the present occupant. On 13 October 1511 a bull was issued by Pope Julius II that suppressed the inn of St Lawrence near the town of Adindain, in the Diocese of St. Andrews, and permitted there the erection of a house of Friars Hermits of the Order of St. Augustine. 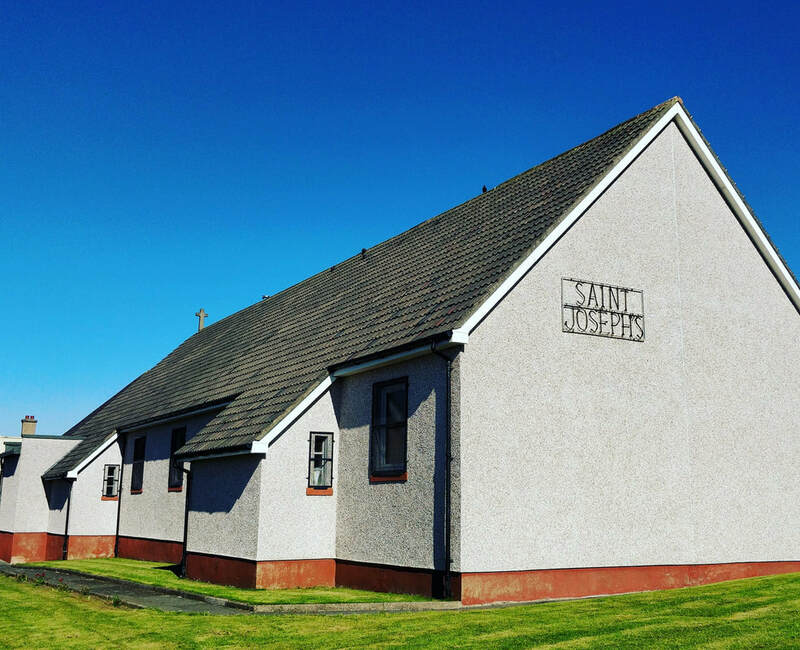 Did these two steps result in one or two new Augustinian houses in Scotland – or no new houses!? On the eve of the Protestant Reformation in Scotland, there were 17 recorded Augustinian Monasteries, including Holyroodhouse, Inchcolm Island in the River Forth and Scone, which was of important significance in the crowning of Scottish Kings. 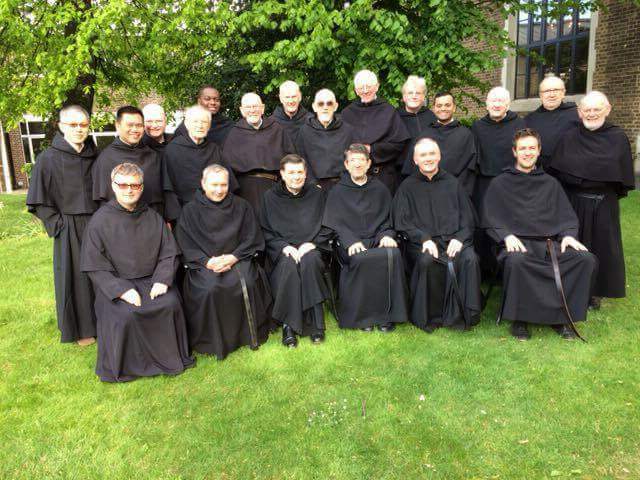 With the advent of the Reformation, funding for monastic institutions was withdrawn, vocations dried up and like many religious orders in Scotland, the Augustinians disappeared. ​Clare Priory, Suffolk, of course, was one of the houses taken from the Augustinians by King Henry VIII. By Divine Providence and the generosity of the family selling it, however, the Order was able to buy it back in 1953 at a fraction of its real value. A Mass celebrated there on 10 May 1953 was the first Mass there since the expulsion of the Augustinians from Clare Priory over 400 years previously. The Austin Friars were re-established in England by the Irish Province during the nineteenth century. This began in 1864 when Cardinal Wiseman gave the Irish Augustinians an area of Shoreditch in the East End of London for a new parish. Thus the Parish of St Monica's, Hoxton Square began. 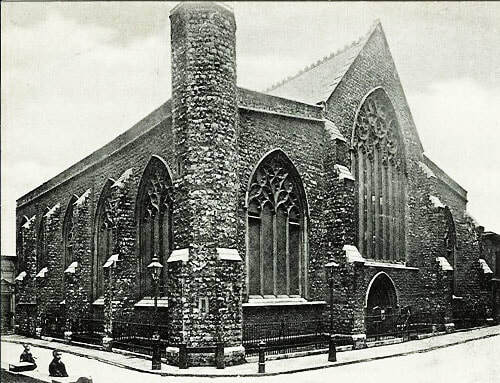 Augustinian parishes were later established in Hythe, Kent (1891) and at Hammersmith in London (1903). In 1948 the Order returned to Scotland to administer the Dundee parish of Saints Peter and Paul, and in July 1951 Austin Friars School was opened in Carlisle, on the English side of the border with Scotland, with a parish attached. Daily Augustinian presence at the school ended in 2005. In September 1977 when the English Province was sufficiently re-established after an absence of 458 years, Clare Priory again became the venue of an English Provincial Chapter. In 1985 two English Augustinians joined two Australian Augustinians to establish the Order in South Korea for a number of years. After a series of withdrawals in recent years, today the English Province operates from five houses in the United Kingdom: Hoxton and Hammersmith (both in London), Clare (in Suffolk), Harbourne (Birmingham), and Broomhouse (Edinburgh, Scotland). The Province has about thirty professed members. On 12 February 2008 Pope Benedict announced the appointment of Fr Michael Campbell O.S.A. of the Augustinian parish of Hammersmith in London, as Bishop Coadjutor of Lancashire, England. He is the first Augustinian in England to be made a bishop in over five centuries. 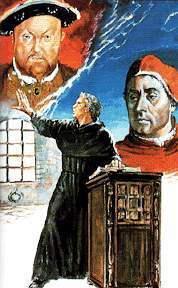 Before the English Reformation, over thirty Augustinians were raised to the episcopacy. While vocations to the Augustinians in Britain have dwindled in recent years, in 2017, for the first time in a number of years, the Augustinians (OSA) in Britain solemnly professed two men in training for the priesthood. Arthur Bolivar, a former nurse, and Gladson Dabre, formerly a social worker, made their final vows before Fr Robert Marsh OSA, Provincial of England and Scotland at St Monica's Church, Hoxton, London. A crowded church witnessed the significant and historic event.